After an absence of about 100 years due to hunting and the effects of pesticides which nearly caused its extinction, the American Bald Eagle (Haliaeetus leucocephalus) is now frequently spotted along the Wolf River, especially in the Ghost River section. 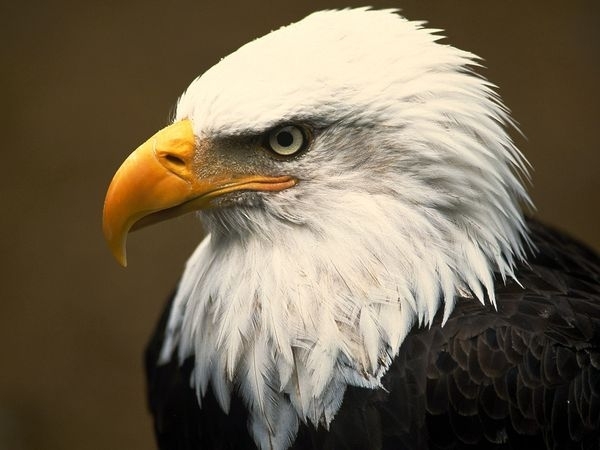 Bald Eagles are large birds of prey which belong to a group known as the "fish eagles" because of their preferred food. Both males and females have the characteristic white head feathers as adults, but these don't appear until they are about 5 years old. Immature eagles are brown mottled with varying amounts of white.